The universally praised book “The Art of Racing in the Rain” by Garth Stein has been developed for the stage. We racing folk will be able to see our favorite novel as a play opening on April 20 at Book-It Repertory Theatre in Seattle. I can’t wait to see Denny and Enzo in the flesh. Where are they going to find a talking dog? 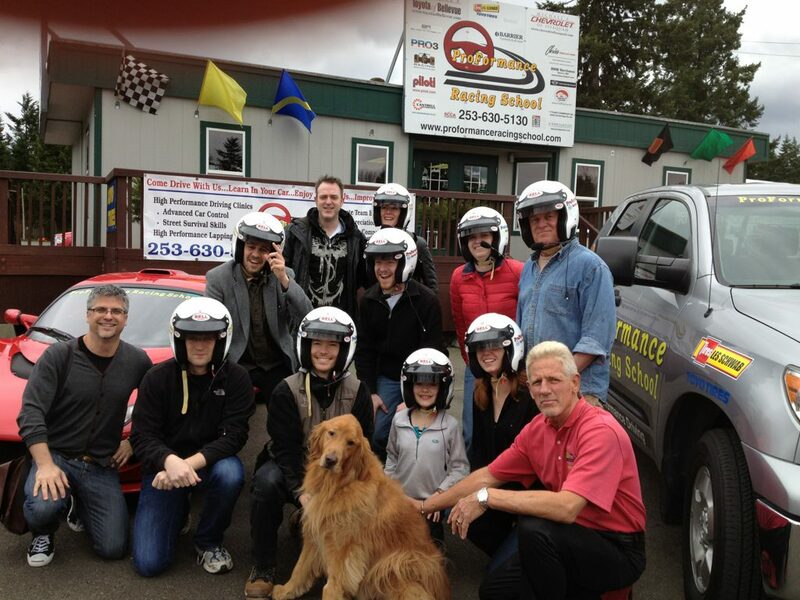 The cast of the play recently visited the ProFormance Racing School to get a feel for driving on a track. Don Kitch, the head of ProFormance, is a minor character in the novel. I wonder what he thought of his stage counterpart? Click this link for information on seeing this play. This entry was posted in Uncategorized and tagged Book-It Repertory Theatre, Garth Stein, The Art of Racing in the Rain, The Art of Racing in the Rain on stage. Bookmark the permalink.